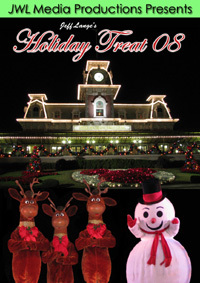 « Contemporary and Grand Floridian Resort Gingerbread Displays, Osborne Lights at Disney's Hollywood Studios, Holiday Treat 09 DVD Preview! Space Mountain is currently in soft opening, and I was fortunate enough to get to ride 3 times yesterday. The attraction was set to stay open until midnight for the Mickey’s Very Merry Christmas Party, I’m not sure if it made it quite that late. It was to be the first day it was open past 7pm. 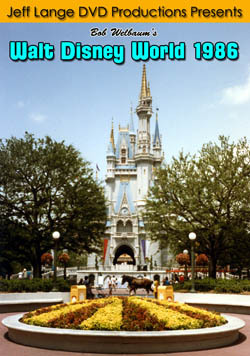 The front of the attraction has changed, as we’ve noted through the last month (below, left). Inside the doors is a welcome to Starport Seven-Five, a reference to the year Space Mountain opened at Walt Disney World (below, right). The queue has changed in color (below right) and features new updated visuals throughout (below, right). A portion of the queue is fitted with a video game that is similar to Asteroids (below left and right). The game lasts about one minute and from the times I played, there was no winner announced. The portion of the queue that was visible to the People Mover is now enclosed. You can no longer see the ride vehicles overhead or the People Mover (below left and right). Near the loading area, these new space effects are shown overhead (below left and right). The ride vehicle seats have changed slightly (below left). 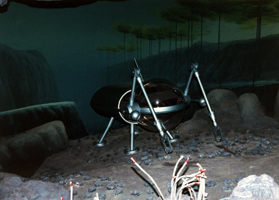 There are now photos taken during the ride and shown as you disembark (below, right). There have also been some changes made to the post-show area. 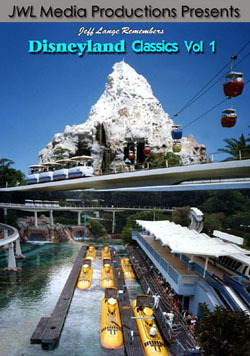 I especially enjoyed the Horizons reference to Mesa Verde (Space Mountain, below left). 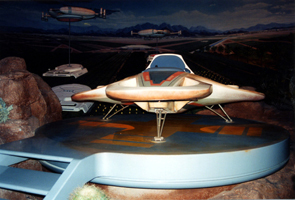 This was one of the multiple ending options the former Epcot Center attraction offered through the desert farm of Mesa Verde (Horizons, below right) back to the future port. The RCA dog still has a place in the post-show area in the desert scene (below, left). 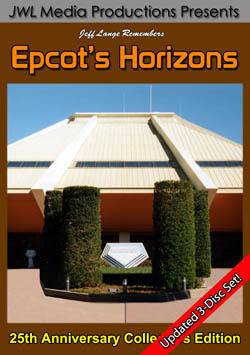 The next sections are also reminiscent of Epcot’s Horizons. After the desert section we come to an undersea scene (Space Mountain below left, Horizons below right). 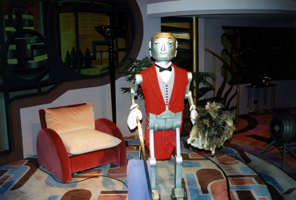 More Horizons similarities are the robot butler and cityscape in the future city scene (Space Mountain below left, Horizons below right). The speed ramp next leads past a banner with greenscreen on the opposite wall where I imagine an updated camera/photo effect will be installed. 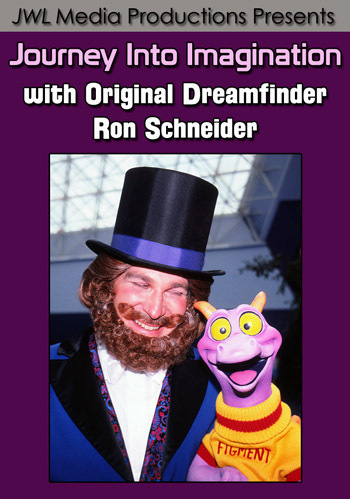 I quite enjoyed all the tributes to my favorite attraction from the past! After experiencing Space Mountain, we noticed this interesting new (and large!) display at the Contemporary Resort (below left and right). I was told it was just installed the previous day. It’s never too early to get into the Christmas spirit! 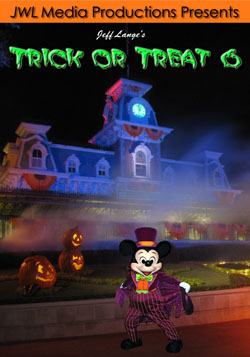 We offer a full range of Holiday Titles from Disneyland and Walt Disney World HERE! (Click covers below for more information). Video #1 – Space Mountain POV Ride-Through, November 15th 2009 – This is a full ride through Space Mountain on November 15th, 2009 (it is still in soft opening). Video #2 – Space Mountain Walk Through and Post Ride 11/15/09 – The queue of Space Mountain and the post-show during soft opening, November 15th, 2009. Soft opening means that it is still in testing mode and not officially open yet. Video #3 – Space Mountain Ride Video Game (in Queue) 11/15/2009 – The updated Space Mountain includes this video game in a portion of the queue. 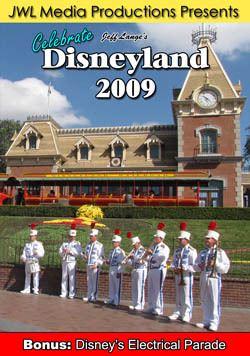 Featuring: Welcome to Disneyland, it’s a small world, Celebrate! A Street Party, Magical Fireworks plus a special bonus, the updated Disney’s Electrical Parade! 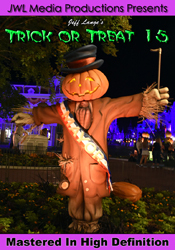 Featuring: Alice & Mad Hatters Treat Party, The Headless Horseman, Mickey’s Boo-to-You Parade, Happy HalloWishes Fireworks, Villains Mix and Mingle, Not So Scary Party Scenes, Haunted Mansion at Midnight and more! 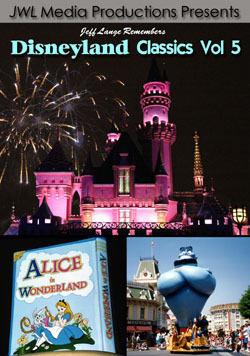 Aladdin’s Royal Caravan (1993), Disneyland Railroad (1992) including the burning settlers cabin, Big Thunder Ranch and more, Beauty and the Beast Show (1993), Pinocchio’s Daring Journey (1993), Alice in Wonderland (1993) and Fantasy in the Sky Fireworks (1993)! 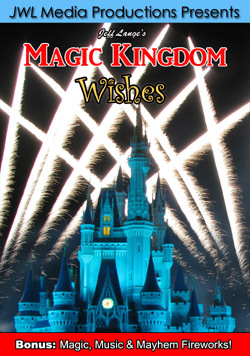 Jeff Lange takes you to Walt Disney World’s Magic Kingdom to experience the best of all the “Wishes” nighttime fireworks spectaculars! 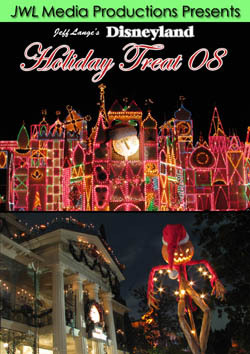 Features: Wishes – A Magical Gathering of Disney Dreams, Happy HalloWishes Fireworks, Holiday Wishes – Celebrate The Spirit of the Season plus Bonus: Magic, Music & Mayhem Fireworks!